Elite RS is a versatile range of open protocol fire alarm control panels compatible with existing Elite fire alarm panel technology. Available with one or two detection loops for a total of 250 primary points or 400 points using subpoints. Elite RS uses leading edge microprocessor based electronics to provide a flexible control system with high reliability and integrity. 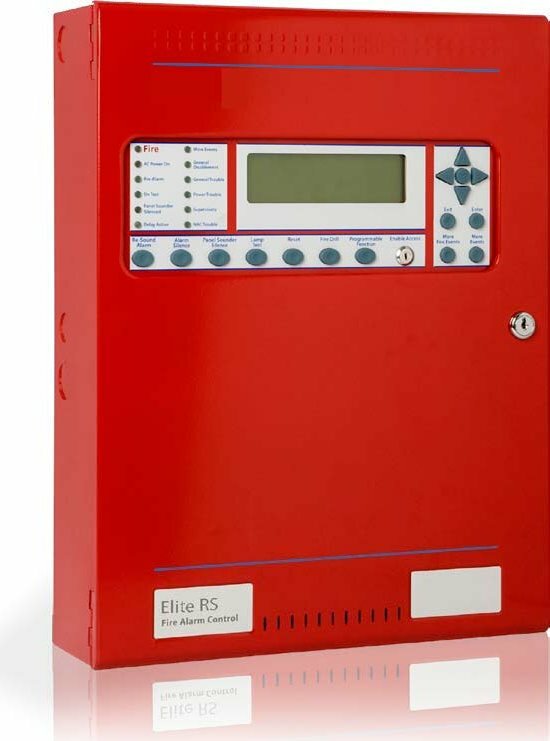 Suitable for all small to medium sized fire detection systems,Elite RS control panels can be expanded and networked to become part of much larger systems if the need arises, therefore providing a future proof solution for any installation. With its large graphical display and ergonomic button and indicator layout, the Elite RS control panel is simple and straightforward to understand for installers, commissioning engineers and end users alike. Powerful, network wide cause and effects (500 total). Fully user programmable by point or zone. 2 Programmable NAC circuits with internal synchronization support.